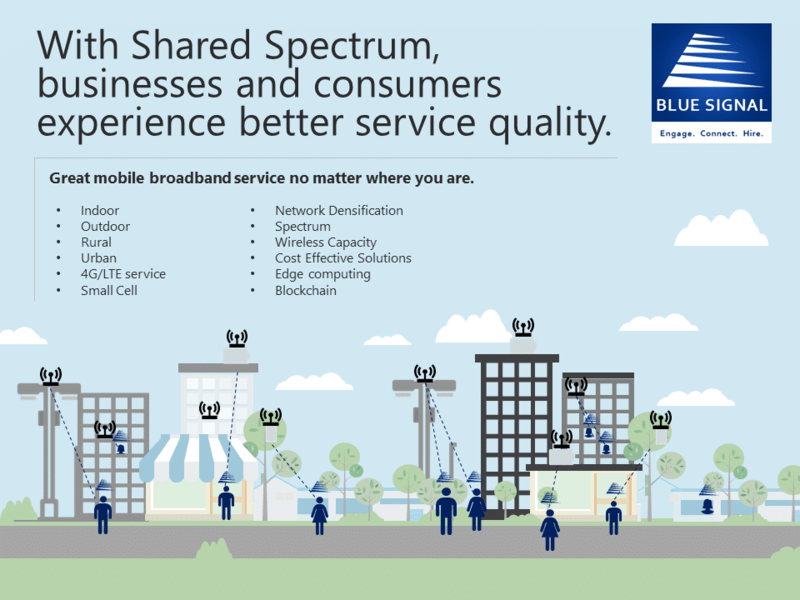 With the development of 5G and the rapidly expanding IoT industry, operators will need more spectrum to keep up with high demand. To solve this problem, the FCC has developed the Citizens Broadband Radio Service (CBRS) to alleviate the shortage of frequencies available for wireless communication services. With consumer mobile data consumption growing at a rate of 57% annually, bandwidth requirements are increasing at a level carriers are struggling to keep up with. Innovating tiered spectrum, CBRS will allow an alternative to carrier services, Wi-Fi, and LPWANs – with several benefits. The Federal Communications Commission has sought to meet the demand for broader wireless bandwidth through the reassignment of some bands. The CBRS band is the 3.55 – 3.65 GHz reallocated from the military spectrum to permit commercial use. 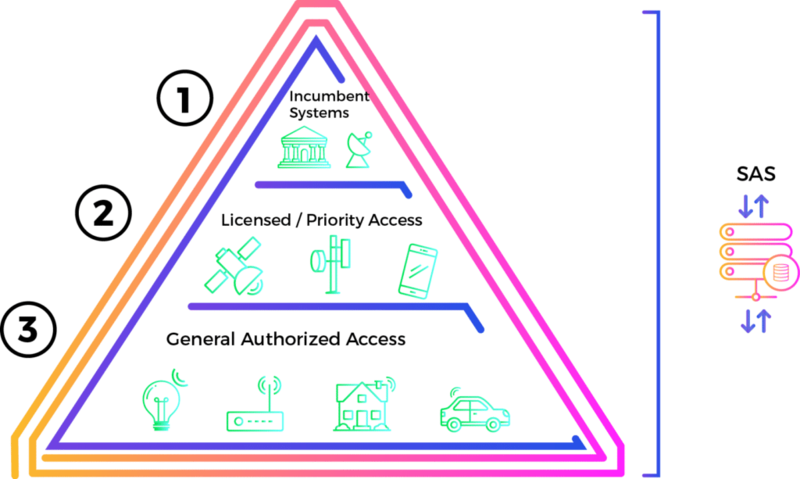 In order to keep it operable for its original purpose as well as public use, the FCC has assigned bands to give priority access to higher-tier users. In this case, Incumbent Systems – or Incumbents – are the highest tier. This includes the military and government users, who were the preexisting users. The PALs – or Priority Access/Licensed users – is a level any company, person, or entity can achieve through an auction process, with limitations on how many can be obtained. Finally, there is GAA, or General Authorized Access, which is the lowest tier. This can be understood as operating just as the 3.65 band is today, where users do not have ranking over others and must cooperate. CBRS will make private LTE networks feasible. Not only will CBRS improve LTE services from service providers, it will also enable enterprises to build their own private LTE networks. Rather than relying on Wi-Fi or a wireless carrier, companies now can create a secure private LTE network to run corporate specific applications. This ultimately would lower operational costs and ease some complexity when building custom applications. Ideally, it will make traffic exclusive and therefore run at a higher speed with a more localized influx. For example, Nokia, Qualcomm, and Alphabet Access (parent of Google) have created a private LTE network at Las Vegas Motor Speedway with the hopes of giving fans a 360-degree virtual reality view into the cars in real time. CBRS will allow the Speedway to use its own network for the VR view, and other communications by its occupants rather than operate on the public network in Las Vegas – which is surely collecting a larger traffic. The private LTE will run faster, and more focused – rather than get mixed up in the other wireless communication taking place around it. All thanks to CBRS. The VR experience would look something like this – giving viewers a view into the cars in real time while watching the actual race from their seats. Providing alternatives for IoT connectivity and LPWANs. 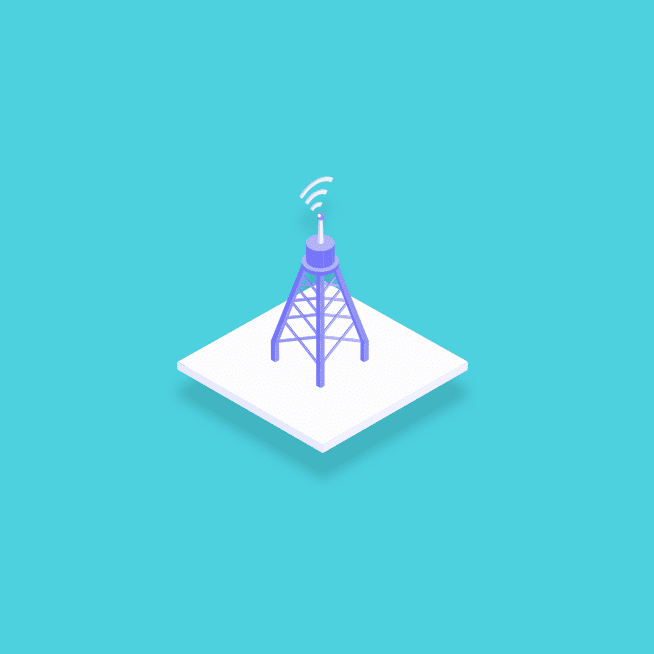 Private LTE networks, made possible by CBRS, can also serve as an IoT connectivity solution. Internet of things devices could connect to private LTE networks in an enterprise – enhancing industrial IoT, commercial IoT, and more. This could reduce downtime and expand the bandwidth of operations, so they don’t have to compete for priority – the possibilities are astonishing. CBRS could compete with wireless carriers and Low-Power Wide Area Network (LPWAN). CBRS outshines Wi-Fi in this way – by being further reaching. Traditionally, LPWANs and carriers were the only source for network that wasn’t localized like in Wi-Fi. Wi-Fi gained popularity due to its economic and technical accessibility. It offered the first of its kind private networks and is easy deployment. However, Wi-Fi still requires several access points to cover an area well – and has no hand-off capabilities. CBRS LTE networks are expected to reach this same level of accessibility and affordability, but also extend beyond a mile in reach and require fewer small cell base points. CBRS backers say the economics of this technology are much better than those of distributed antenna systems and they contend the speed and consistency of service will be much better than Wi-Fi. Needless to say, the future is bright for CBRS. CBRS is changing the way network is owned and operated. To curb the competition, major carriers are buying into CBRS in the hopes of maintaining their subscription base. Carriers, cable companies, and enterprises are looking to get into wireless through cellular-based service extensions, according to Network World. The 3.5 GHz band would extend coverage and capacity of pre-existing LTE services, working indoors and outdoors. Also, it would lower the costs of entry for non-traditional wireless carriers, and potentially increase coverage in rural areas. Where wireless carriers are concerned, CBRS means unbridled expansion. Historically, they were having to share the band with Wi-Fi. Now, they have the option to reduce complexity by using LTE that will provide a network that should be better than Wi-Fi. Large carriers are looking to use the band to densify LTE networks through small cell in urban areas. As for cable operators, CBRS could mean more spectrum holdings. They could deploy LTE networks and become Mobile Virtual Network Operators, or MVNOs. This could also mean big changes for the marketplace in 5G. Industry experts speculate that the sharing system will pave the way for 5G throughout the US and bring harmony in coordination globally. 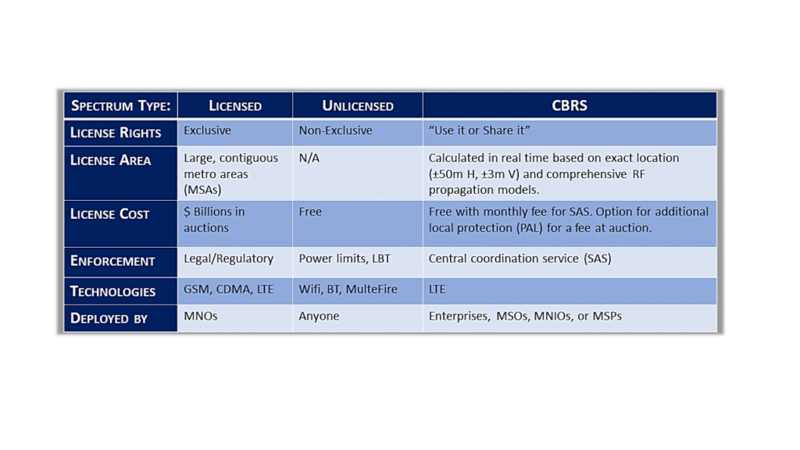 If successful, the CBRS model of effective and fair spectrum could be repeated by regulators in their own markets – whether LTE or 5G or whatever comes next! CBRS is the ultimate test to the shared spectrum theorem. If it proves to be more efficient and accessible as promised, it could mean huge changes to the way the market approaches 5G, LTE, and whatever may come next. The problem with today’s job market is not the lack of open jobs, but lack of available talent. The Bureau of Labor Statistics reported that January closed with 6.9 million job openings. As the talent pool is shrinking, businesses are having a difficult time finding qualified, high caliber talent to fill lucrative roles. With this shortage, businesses are turning to recruiting firms for help. Recruiters are focused on finding the best candidates and can provide several benefits to a job fill. Recruiters ultimately save time, increase productivity and efficiency, have the ability to access passive talent, are fully transparent, and understand how to market companies. An average hiring manager may only be able to set aside 1 to 2 hours a day to review resumes. Recruiters, on the other hand, devote their entire 9 to 5 – and then some – to comb through candidate skills, backgrounds, evaluate market trends, and ultimately build long lasting professional relationships. They have pipelines to build from, along with a readily accessible network to quickly find qualified candidates. Recruiters are dedicated to building relationships with industry leaders and market experts and offer unparalleled access to market conditions when it comes to salary negotiation. This cuts out the bargaining and guessing games and takes clients right to the numbers and hard skills. Recruiters have the confidential “in” on who is looking to make a move. Filling a position can be time consuming, but recruiters are willing to do what it takes to find the perfect candidate. Talent acquisition and HR departments typically have many job openings to work on simultaneously, often nationwide. Utilizing a recruiting firm will alleviate the stress in filling time sensitive positions while saving companies money. 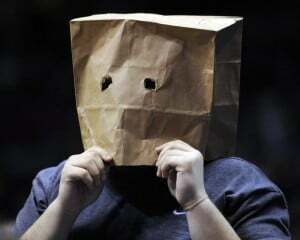 NPA World Wide stated that companies on average are losing more than $18,000 per month while a position remains open. If you consider that profitable companies’ employees generate 3 to 5 times their annual salary in value, a position at $70,000 could be throwing $29,000 out the window in just a month! This adds up, and 60% of employers admit to being very concerned with the cost of unfilled positions. In this case, time may very well be money. Businesses can’t afford to lose this time. These numbers don’t even consider the on-the-clock time that a hiring manager may be using in the talent search. It’s typical for employers to sort through submitted job applications for openings and reach out to potential candidates themselves. However, in the hiring process, the average job opening attracts 250 resumes. What hiring manager has the time of day to sort through 250 resumes? How much productivity is a company losing over posting jobs themselves, and having their head sales management or engineering director read CVs? Blue Signal recruiters take the time to submit candidates with the right background, skill set, and experience employers are specifically looking for, without wasting anyone’s time. According to LinkedIn, 70% of the global workforce is made up of professionals who aren’t actively job searching and 87% of the passive talent are open to new opportunities. This means the ideal fit is likely in a job today. How does a company have an appropriate, confidential way to approach these happily employed candidates? Through training, knowledge, and expertise, recruiters have access to top talent that businesses cannot find on their own – whether a candidate is actively looking or not. Blue Signal recruiters have their own talent pools to draw from and act as a bridge to connect with otherwise inaccessible talent. Our recruiters can devote industry leading teams to fill high priority roles fast. Through extensive sourcing and research, a list of highly qualified candidates in the industry can be found instantaneously. 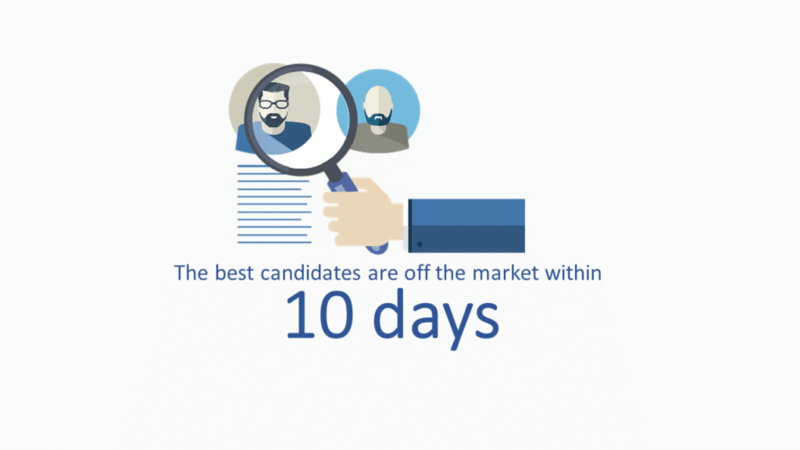 Keep in mind, the best candidates are usually off the market within 10 days, so when a recruiter finds a candidate with the perfect experience and skill set, it’s important to interview fast. Studies show that 66% of candidates believe interactions with employees are the best way to get insight into a company. Rather than have them skim your Glassdoor reviews (which can be incomplete and biased), let recruiters get the inside scoop right from the source. When trying to fill a position, recruiters provide all the essential information to their candidates. It’s important to be transparent and inform candidates about the opportunity they are looking to pursue. Blue Signal recruiters set themselves apart by providing detailed job descriptions, company history, culture, financial statistics, and even leadership within the company to help ensure the candidate is a cultural match as well as a talent match. Providing this information helps the candidate through the entire process and if selected for an interview, they will already have the information they need at hand. Along with being fully transparent, recruiters are a partner throughout the entire hiring process. Beginning with submitting a candidate, to scheduling an interview, and being offered the position, a recruiter’s work is far from done when an offer letter is signed. They continue to check in with the candidate to ensure a successful hire was made – both for themselves and the company. 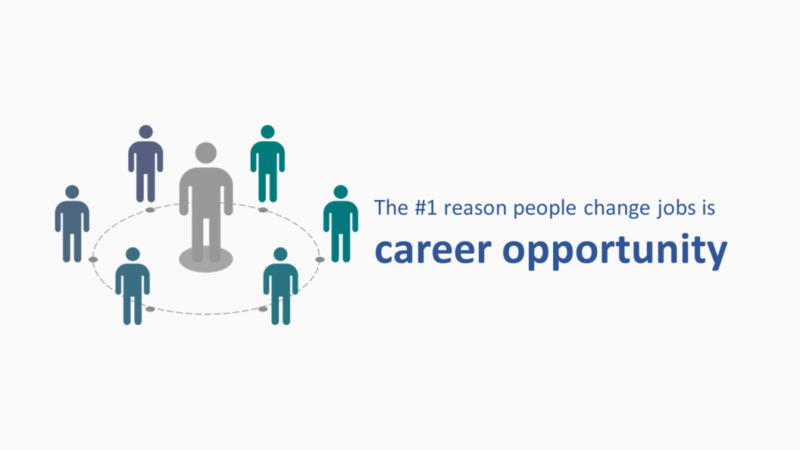 According to LinkedIn, the #1 reason candidates change jobs is career opportunity, followed by company culture and growth. 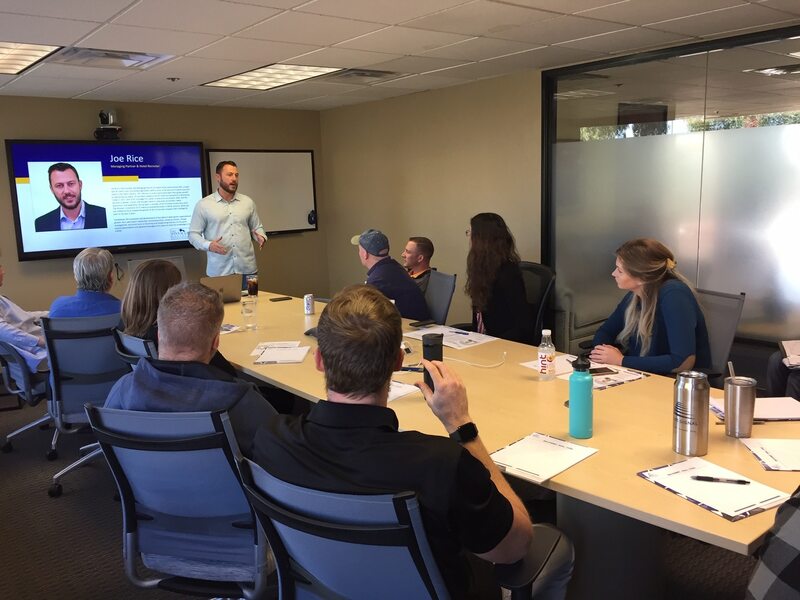 Blue Signal takes pride in only partnering with companies that value their employees by offering great culture and career growth opportunities. Recruiters know what candidates are looking for by staying in communication, building a relationship and being transparent throughout the process. They have the inside scoop and go the extra mile to sell a candidate. Once you partner with Blue Signal, our recruiters use many resources to locate your ideal hire. This includes our sales team, marketing team, internal database, and extensive referral network. 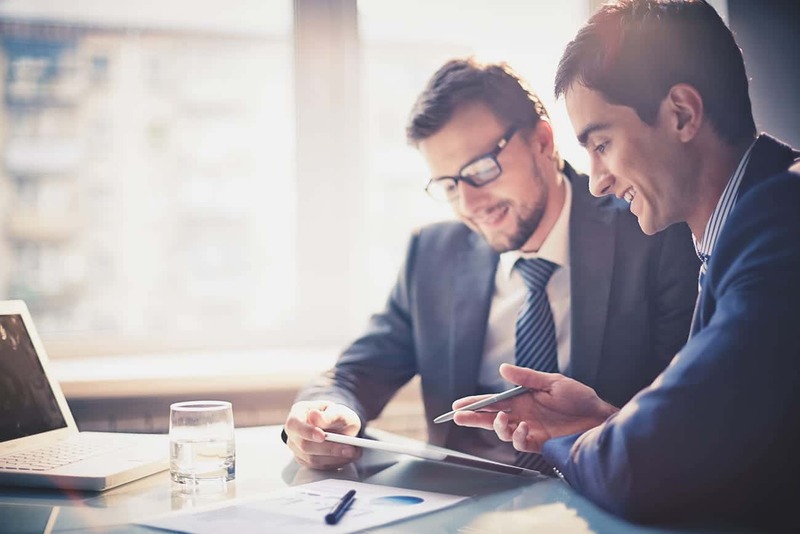 Before reaching out to candidates, our recruiters conduct their own research about the company and the job itself in order to describe the opportunity best. They are able to draw from Blue Signal’s values and strong history of success to best market the position to stand out from the competition. This is good news for the right company, too! That means that they want to grow alongside the organization just as much as the organization wants to utilize their skills to grow themselves. Blue Signal is here to help. Blue Signal has a 43% gender balance. Happy International Women’s Day to all those change-makers in our industry. Here at Blue Signal, we have sought to build a diverse workforce since our inception, and we now have a 43% gender balance across the company. This is significantly higher than the tech industry average of 29%. Our company is passionate about advancing gender equality and the empowerment of women in tech. #HireBlue to think equal, build smart, and innovate for change. 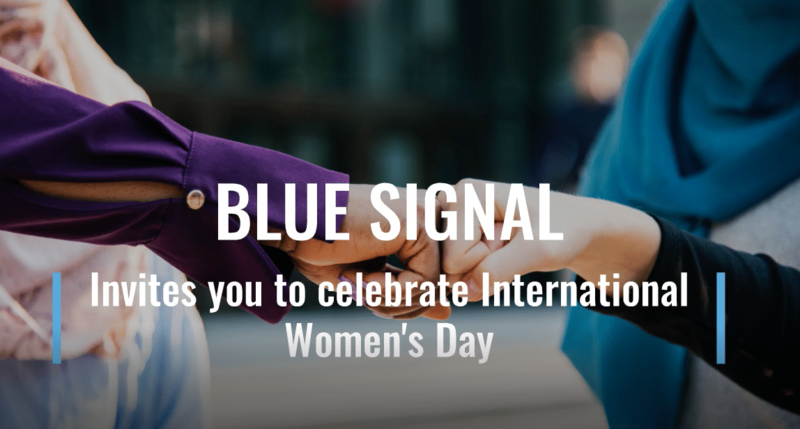 Thanks to the ladies of Blue Signal who consistently inspire change, champion innovation, and motivate us to continually improve in our roles. 2018 was a record-breaking year for the Blue Signal team. 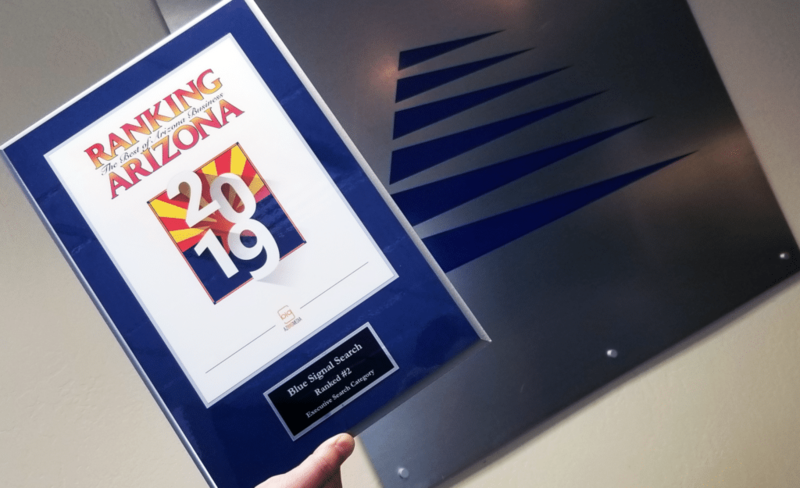 We worked on 400+ jobs, made 119 placements, doubled our team size, expanded offices and moved our company headquarters all while exceeding our company goals. At the Blue Signal Summit held in Phoenix, Arizona, we talked extensively about goals – as individuals as well as a team. Next year, we plan to raise the bar even higher and expand our team once again. None of the strides we have made as a company would have been possible without the incredible efforts of our stellar team. Specifically, our top performers. At the Summit, we gave special recognition to 3 notable team members for their achievements. 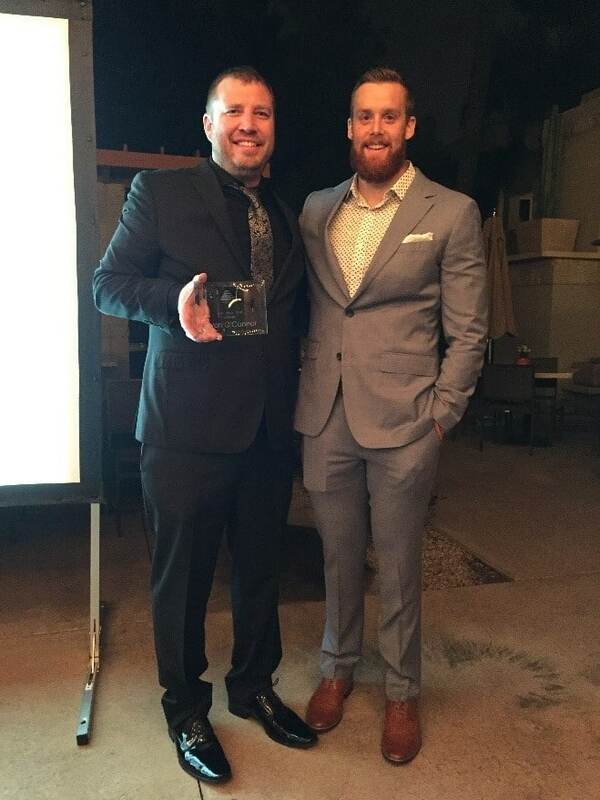 Within his first year in the industry, Bryan was quickly promoted to Recruiting Manager. He has gone above and beyond in his efforts with candidates and clients. Bryan’s diligence throughout the year was reflected in his numbers. 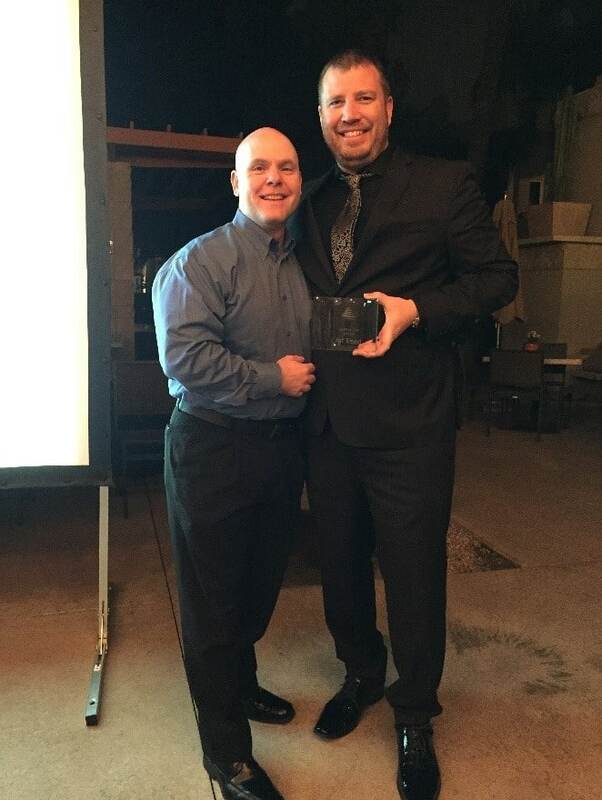 At the Summit, Senior Managing Partner Matt Walsh presented Bryan with an award for Top Cash-In in 2018. Art has been a mentor and driving cultural force of Blue Signal since he came on board. His voice and presence put a smile on the faces of clients, candidates and colleagues alike. He recently was given the well-deserved promotion to Managing Partner. His client and candidate advocacy and dedication earned him the title of Top Biller for 2018. 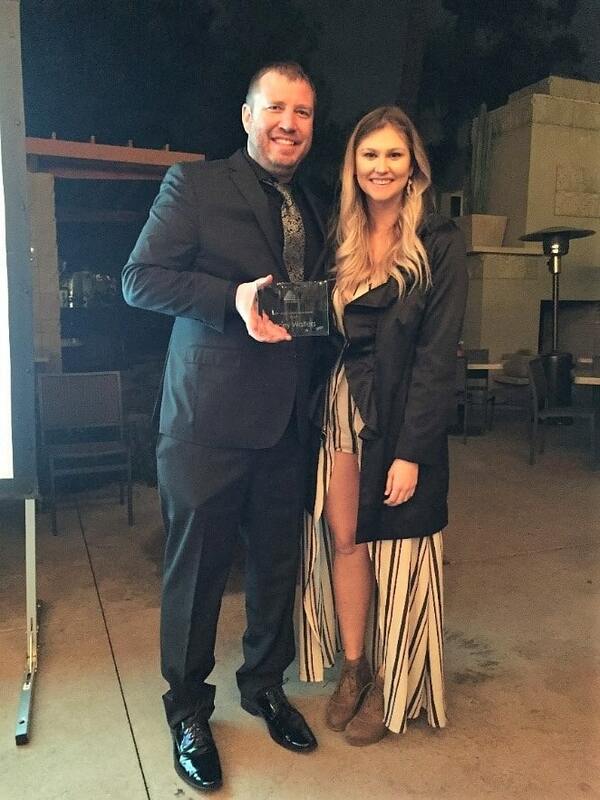 Lacey’s hard work, innovative nature, and ability to adapt to anything thrown her way led to her recent promotion to Director of Operations and the Blue Signal MVP Award for 2018. Her dedication to Blue Signal’s initiatives, clients, candidates, and operations have significantly impacted the results all recruiters and the firm have experienced in the last year. These 3 individuals have truly exceeded all company goals and the expectations of the organization. Whether it be weekends, nights, holidays, or after hours, they have put their clients and candidates first. 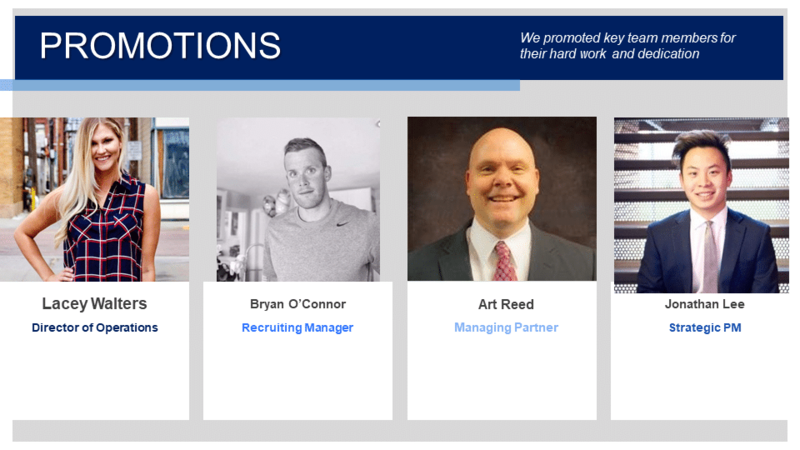 Their hard work and attitude has helped make Blue Signal the best recruiting firm on the planet. This candidate, client, and colleague first mentality directly reflects Blue Signal’s ethics, and core values – which is why they are not only impactful leaders in the company, but recipients of these prestigious awards and true drivers of the Blue Signal cultural organization. In 2019, we plan to keep up this trajectory and continue to be the best recruiting firm in the space. Blue Signal thanks each of these individuals for their hard work and effort. We are excited about what 2019 and the future brings for each of them as well as Blue Signal, our customers, and our clients. In November 2018, Blue Signal launched its first ever Blue Signal Gives Back initiative. 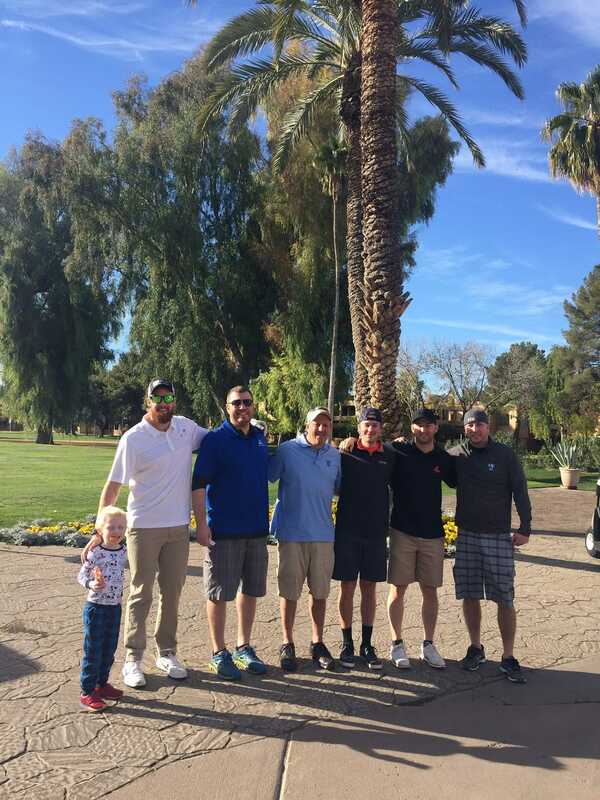 In an effort to give back to our community, we implemented a program where the entire team worked together to raise money for a charitable organization of their choosing. Blue Signal’s company culture is unique in many ways. 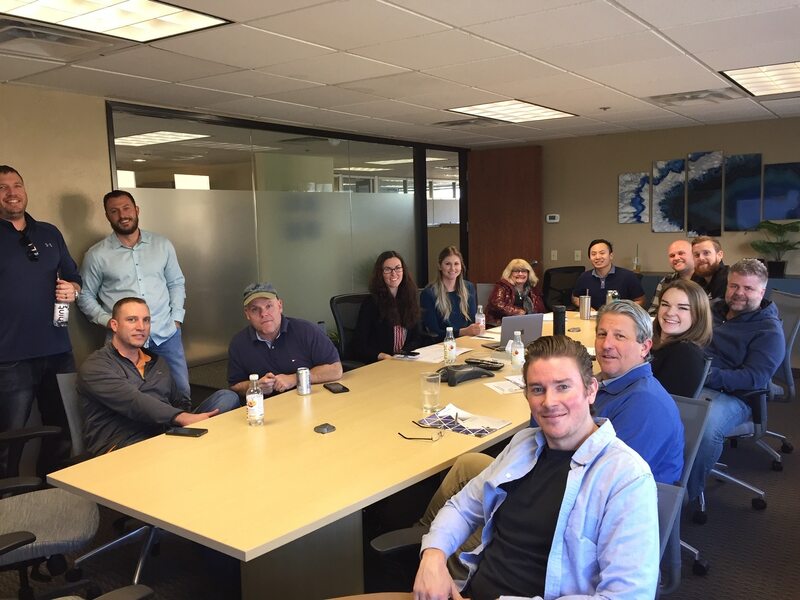 While we do have four brick and mortar offices – two in Illinois, and two in Arizona including our new HQ – we also find our workplace all across the US in the homes of our remote workers! Because of this, it has been important for us to remain a close-knit company in many creative ways. The Blue Signal Gives Back Initiative allowed us to work as a team to accomplish one major goal – giving back. And we learned a lot about one another along the way! Here’s how it worked: The program ran for 6 weeks from November through the end of December 2018. All recruiters chose a nonprofit charitable organization that was important to them, and teamed up with members of the support staff. Each team was able to earn money through Send-Outs, Placements, and various metric benchmarks and company trivia. Every week a progress report was sent out to the company, keeping track of which team was in the lead. At the end of the year, the points were added up and the team with the most cash won! The best part? 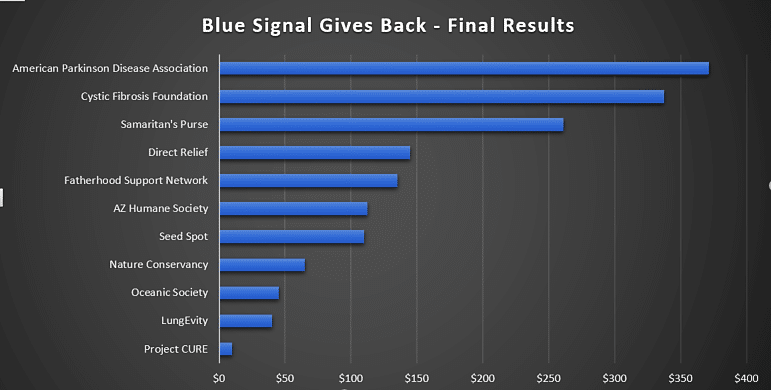 Blue Signal took all the money earned from ALL teams, and donated it to the charity chosen by the winner – placing the donation in their honor. That meant that every send out, every placement, regardless of the winner, translated to a win for one lucky charitable organization. Each employee’s hard work directly benefited the winning organization. 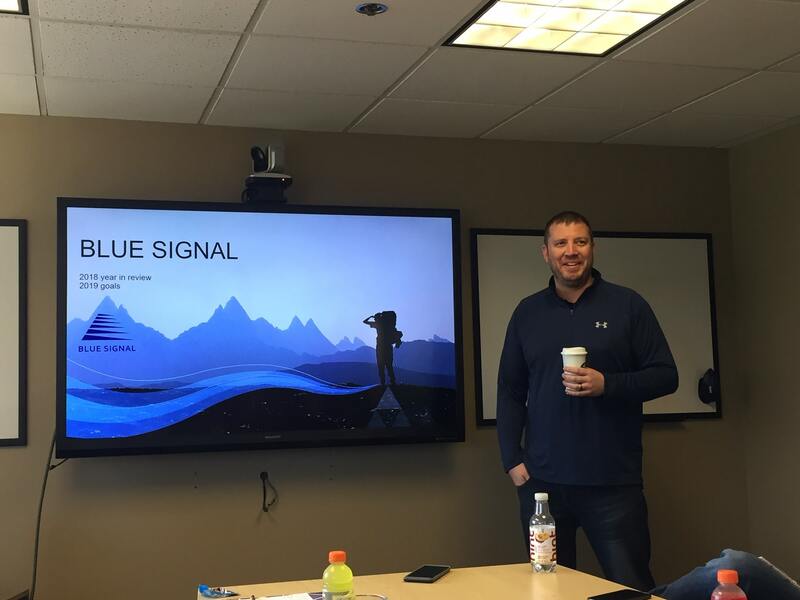 At our year-end holiday party, the Blue Signal Summit – Ryan Walsh was announced the winner. His efforts put him and his organization, the American Parkinson Disease Association, in the lead. Ryan and the entire Blue Signal team was able to raise $1,632.50 to donate to the cause. We are so proud to have had this opportunity to work together as a company to give back to our community! More about the American Parkinson Disease Association – The APDA is the largest grassroots network dedicated to fighting Parkinson’s disease (PD) and works tirelessly to assist the more than 1 million Americans with PD live life to the fullest in the face of this chronic, neurological disorder. Founded in 1961, APDA has raised and invested more than $177 million to provide outstanding patient services and educational programs, elevate public awareness about the disease, and support research designed to unlock the mysteries of PD and ultimately put an end to this disease. People can be full of surprises. 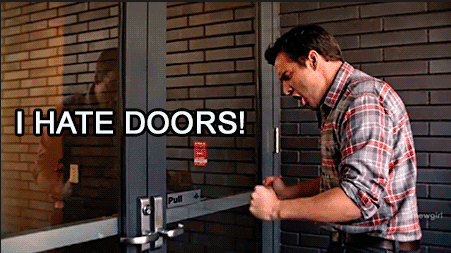 And there is nothing quite like the stress and excitement of a new job. With a combined 99 years in recruiting – here are some of the worst (possibly best?) recruiting stories Blue Signal has seen. My candidate went for an in-person interview – and it went really well. Got up, shook hands with the interviewers. They left ahead of him so he could gather his things, and unwittingly locked him in the conference room. 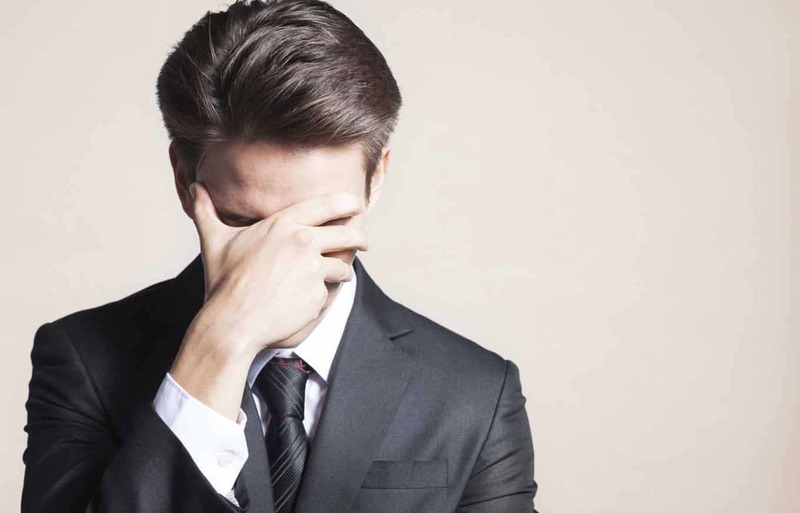 Embarrassed, the candidate had to call me on his cell from inside the room so that I could contact the hiring manager, the receptionist, or literally anyone to let him out. He got the job. I guess they liked him so much they didn’t want him to leave! I had just received news from a hiring manager that they wanted to meet with my candidate, Bob. I called him up immediately to congratulate him and caught his voicemail instead. An hour later, my other candidate Robert gave me a call. I thought it was Bob, as they both have the same area code. I proceeded to tell “Bob” that he had an interview. Robert was very excited for the opportunity – one he hadn’t even applied for. The whole thing was a little embarrassing, but after calling then to clarify, they understood and we all had a good laugh. When I first started, I had one candidate who seemed like a Rockstar – good phone presence, good technology sales experience, etc. The client skipped the phone screening based on their resume and our glowing feedback and got an immediate in-person interview. Shortly after the interview, the hiring manager called to let us know that the candidate seemed to be on drugs/alcohol for the interview. He explained they were completely out of it. Obviously, the candidate was cut and both me and the PM on the role were stunned based on how well they were on the phone during our initial screenings. Guess we should start booking interviews before happy hours. I once set up a candidate for an interview in Chicago. To get there on time, he was making some super risky moves – “Chicago” moves – to get in and out of traffic. After one particularly close lane change, he cut off some guy and really ticked him off. The guy started to follow him, roaring up behind him red-faced and yelling. The guy passed him pulling into the parking lot, and the candidate gave him the bird. There was one parking spot left, so the candidate’s final move was to cut the guy off once more and steal the spot. It paid off though, because he walked in to the building on time. He thought he was in the clear and waited in the office for the hiring manager. Turns out the hiring manager was the same guy he had cut off in traffic. He did not get the job. Back at my old firm, I once received a call from a candidate about a job inquiry. He had all the relevant experience and perfect qualifications, but after talking to him for a while I slowly realized the situation. He applied for a job we posted – without knowing the job he applied for was the job he currently had. The hiring managers were doing a highly confidential replacement to line up a candidate before letting the guy go. During my previous recruiter job, I once had a candidate as average as ever go in for one interview with a hiring manager that went as normal as expected. This was the first time they had met. 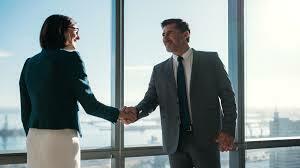 As is standard, the client and candidate exchanged contact information in case there would be next steps, however I was contacted by the client and informed they would take a pass. No real reason other than he wasn’t qualified to the level they were looking for. Before I got the chance to contact the candidate and tell him the news, I got another call from the client. The candidate, after the interview, was involved in a car chase with police. He had called the hiring manager asking for help – during the pursuit. Needless to say, his request for bail was swiftly denied. Yikes! My first solo Wall Street run was the worst day of my recruiting career. Back in my financial recruiting days, I was sent to visit a notoriously difficult hiring manager at a banking client who had shot down my managing partner and my recruiting manager. Now I, the little junior recruiter, was ordered to see if I could show up uninvited and convince her to have a meeting. Because I was so junior, my recruiting manager told me to name-drop another managing partner in a different office, “Vicky.” I’d never met Vicky, but they filled me in on some details and sent me on my way. I took the train into Manhattan, I was wearing my very best suit and was frightened out of my mind. I didn’t feel prepared to do this alone, and I didn’t want to name-drop someone I didn’t know well. I arrived on Wall Street, got upstairs, and sat outside the client’s office. She sent out her assistant to tell me she was busy and didn’t want to see me. It already wasn’t going well. I did what I had been instructed to do: mentioned that I worked with Vicky and went into some detail about how she and I worked together and how great she was. The assistant stared very hard at me. “Vicky is a man,” she said. I sat frozen for a moment, as the realization washed over me. Then I stood, quietly gathered my things, and left. One of our contractors had recently started a very lucrative software engineering contract and was performing well on the job. He was thrilled and so were we. Suddenly, he missed two days of work in a row. No call, no show. The client called us, furious. We scrambled to try to track him down. Another day went by, and we still couldn’t reach him. Turns out, he had flown to the Philippines to pick up a mail-order bride without telling anyone. No one would have known, except they had both been detained at the border with visa issues. He and his bride were stuck in Manila until their visa paperwork cleared. He did eventually make it home and finished the contract with no further issues, but he never would tell us if he was able to bring his wife with him. Did you know it takes an average of 52 days to fill a position, and that US companies typically spend $4,000 to fill an open position? This data from Bersin by Deloitte includes findings from 412 organizations, and the results are stunning. It found that high impact organizations have a 40% lower new-hire turnover rate and are able to fill roles 20% faster than companies with tactical recruiting functions. This has a lot to do with reputation. Whether you are a hiring manager, an interviewee, or a recruiter – you have probably had to handle some bad press in the professional world. Here are some tips for best practices when approaching this sensitive topic. A study by Glassdoor found that 84% of workers would be willing to leave their current jobs for a company with a great reputation, and that this would only require a 1-10% pay increase. More and more, people are looking to work for companies based on the culture over the paycheck. Meaning that your brand’s reputation is worth more than you think. If your company has a bad reputation, the biggest thing is to not sweep it under the rug. The internet is a very unforgiving place and bad reviews on Glassdoor or Indeed will leave your business driving away potential employees. So, your first step should be to own up to your pitfalls. Respond to Glassdoor postings and ask questions. See where in the process you went wrong and work to alleviate it in the future. When it comes to new hires, it would be beneficial to discuss these bad reviews and tell them about how you are working to change, because if they do research like they should, they’ll find those answers and come to conclusions on their own. Finally, after working to fix the internal issues that caused the bad reputation, make your employees your brand ambassadors. Just as bad ratings can drive people away, good ones can draw them in. Encourage (but not incentivize) employees to share their experiences online. Not only will this help potential new hires to familiarize themselves with your company culture and set their expectations for the position, it will also help your current employees feel heard, validated, and valued. If you give them a voice, they will be empowered to help drive your brand. Instead of sitting there and thinking Well, I’m not so sure I want to anymore… while flashing back to your midnight internet FBI-type investigating, take some steps before going to their office to make sure you’re not missing an opportunity. First things first, call it out. If you are working with a recruiter, ask them head on what they think about the company and its issues. It doesn’t benefit the recruiter to lie about it or talk around it. Chances are they have asked the company these same questions after doing their own research and have had to share this information with other potential candidates. Recruiters will be the best resource for knowing the inside scoop on the issue without harming your reputation with the company. And, if you’re not working with a recruiter, know that it isn’t necessarily a bad thing to ask the hiring manager during an interview what the company has done about these reviews. Be respectful and try not to place blame. Try So I researched your company and I had some questions about your management team or There have been some rumors going around in the market and I just wanted to hear the truth from you. Chances are, if they are a truly good company, they will admire your ethics and recognize the courage it takes to bring up those concerns. Hopefully they will be able to address the issue and provide you with some answers about how they have moved forward to alleviate those problems. It’ll give you good insight into who their leaders are, and how they operate. Otherwise, if they push back or don’t provide answers, follow your gut and think about whether or not they are the right fit for you. Most importantly, when you see these bad reviews, consider the source. Look closer at the review and see where the problem truly went wrong. Think about the last time you bought something off Amazon. You may have perused the reviews and come across a customer claiming, “this is the worst sweater on the planet, it showed up full of holes! Would never buy again!” Is this the only bad review among all others like “I bought 12!” and “Perfect fit!” Realize that in reality, the angry customer’s dog perhaps got to the mail first. Recognize that not all reviews are honest or hold the whole story. The single bad review from an employee on a Glassdoor page could be from someone who left the company on bad terms, or had their boss’s dog eat their sweater. Finally, recognize the opportunity a “bad” situation can provide you. If you meet with a company, and hear their history and how it’s turned around, think about how you can elevate their reputation and work alongside them to build them back up. The companies in these situations are clearly in need of some new ideas, and there were probably several other applicants who read those reviews and turned away their offers without knowing the full story. Of course, never take a job that may be harmful to you or your career. But, if you see the company making a true effort you may be given an opportunity in disguise to grow with them. Don’t limit yourself based on someone else’s opinions! This is a tough situation for a recruiter, because as the middle man there is nothing you can do to fix it. You are simply being employed, for a short time, by the company. On the one hand, you want to be selective of the companies that you place in because if they treat your candidates poorly, that can reflect on your firm. Depending on the issue it can also conflict with your company’s ethics. On the other hand, it really isn’t your fire to put out, and you should still maintain a good relationship with the company and its industry. So your options are pretty limited. But you know it is important to not ignore the company’s standing, especially with candidates. As an industry based heavily on customer satisfaction, you cannot afford to be dishonest or misleading. It isn’t worth it to waste potential connections with a candidate or company for fear of stepping on toes. Which leads to the talk – with both the candidate and the company. First, approach the company with the right attitude. There’s no way to possibly know the entire story surrounding bad press, after all it could be just a rumor. Try asking So I heard something in the market about your company surrounding ______. Give details, be specific and direct keeping in mind your relationship with the company. As the story unfolds, keep a neutral tone and avoid using statements that could be perceived as placing blame. Make sure to approach it with the candidate in mind, too. Ask What have you done to mitigate the situation? Or Moving forward, what will your philosophy be with new hires? What is your sizzle? Why should someone work for you despite this hiccup? More than likely, you aren’t the first person to bring the damaged reputation to their attention and as a company they have taken steps to repair their image. Let them be the ones to tell you their side of the story. Hopefully your candidates do their research and can come to you with questions. But- even if they don’t- feel free to be proactive and let them know about the buzz in the market surrounding the company. If there is a turn-around story where the company has mitigated the issue, tell it. If there isn’t, discuss the candidate’s options. Worst case you scare them away from a “bad” company but build their trust in you and you can retain them for a future role. Ethical candidates = ethical business tactics = ethical growth. All in all, be the closer. Ask the company the tough questions and relay the information accordingly.